MRI makes use of the property of Nuclear Magnetic Resonance (NMR) to image nuclei of atoms inside the body. 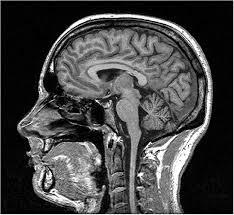 MRI can create more detailed images of the human body than are possible with X-rays. Advances in MRI have improved the ability to produce images in Axial, Coronal, and Sagittal and multiple oblique planes with equal ease. In MRI device, an electric current is passed through coiled wires to create a temporary magnetic field around a patient’s body and in open-MRI devices, permanent magnets are used. Radio waves are sent from and received by a transmitter/receiver in the machine, and these signals are used to produce digital images of the area of interest. MRI uses strong magnetic fields to align atomic nuclei (usually hydrogen protons) within body tissues, then uses a radio signal to disturb the axis of rotation of these nuclei and observes the radio frequency signals are generated as the nuclei return to the base line states plus all surrounding areas. The radio signals are collected by small antenna coils, placed near the area of interest. There are no known harmful side-effects associated with temporary exposure to the strong magnetic field used by MRI scanners. MRI does not use ionizing radiation that can potentially cause damage to DNA, like the x-rays used CT scans. Cases of Claustrophobia have been reported in 5% of the patients. 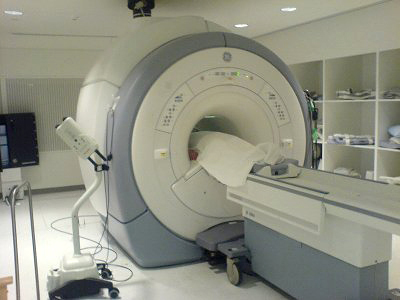 The use of MRI is contraindications in patients who are using pacemaker cochlear implants ,indwelling pumps, certain types of cerebral aneurysm clips, metal fragment in the eyes and some metallic hardware due to power full magnetic fields and strong fluctuating radio signals the body is exposed to. Prolonged exposure to radio waves during the scan could lead to slight warming of the body.